Hello Kitty is not just associated with things meant for kids and teens. 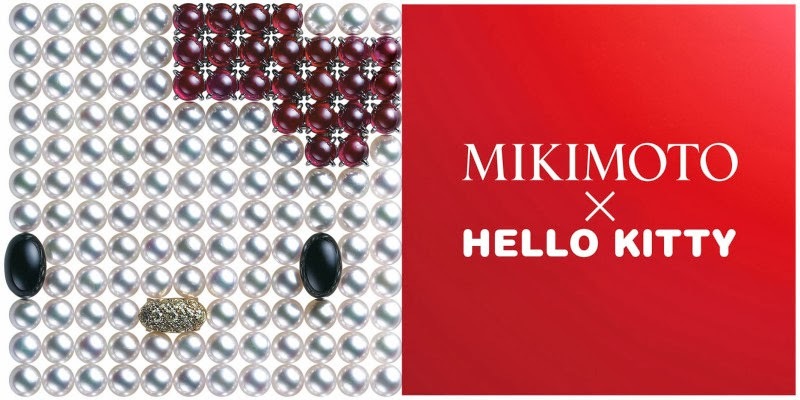 As Sanrio’s cute feline cartoon character is all set to celebrate her 40th birthday in 2014, Japanese jeweler brand Mikimoto is all set to launch the Mikimoto x Hello Kitty collection. Cuteness fuses with elegance to unveil a 20 piece pearl jewelry collection that includes Kitty-themed necklaces, earrings and bracelets. The collection will make a perfect New Year or Valentine gift for Kitty-loving ladies. As of yet, two pieces from the collection are listed with intricate details as well as whopping price tags. 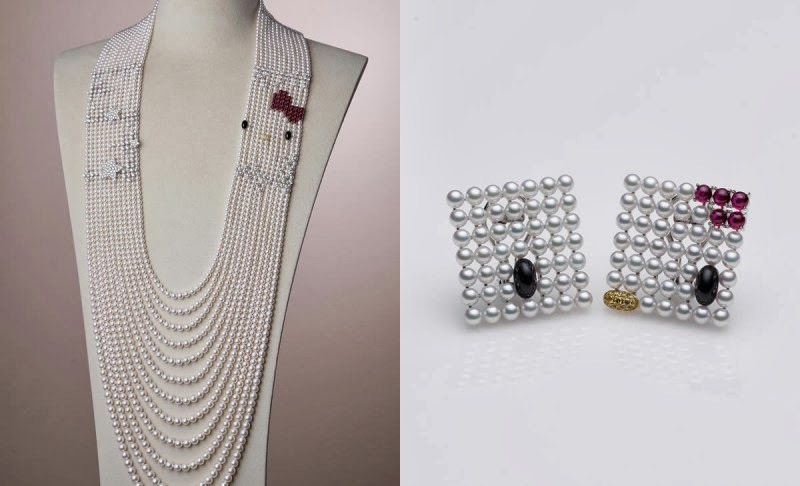 The multi-strand pearl necklace features the face of Hello Kitty highlighted with a bow made from rubies and onyx eyes. The Akoya pearls neck piece is also complemented with a pair of earrings to make a purrfect set. The eye-catching pearly feline set will adorn the neckline and ears for 29,085,000 Yen ($280,000). 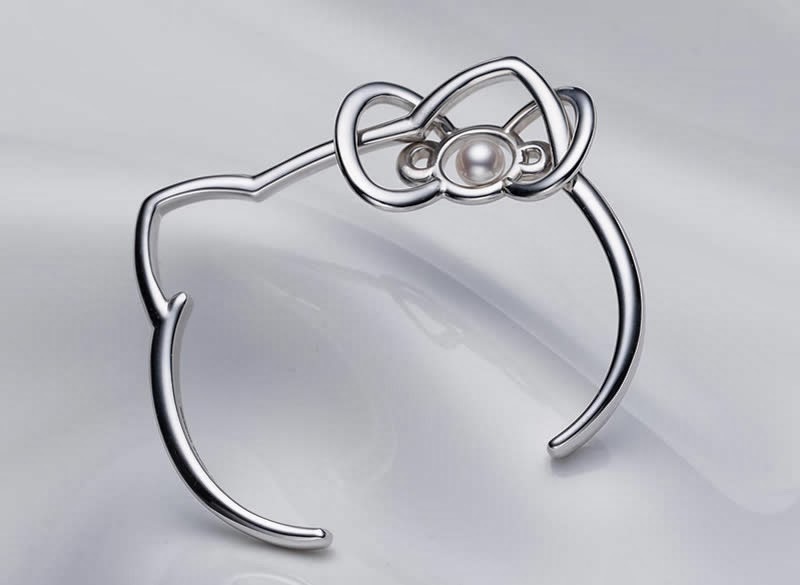 The silver bangle with a pearl-topped bow is an affordable piece for 57,750 Yen ($550). Mikimoto has been synonymous with cultured pearls for more than 120 years.